Gilles Peterson likes to stay busy. Not content with being a globally in-demand DJ, the London selector holds down a weekly 6Music slot, helps run Worldwide FM, and spearheads the always on-point Brownswood imprint. Oh, and he runs a lot of marathons. Agreeing to curate an area of Cheltenham Jazz Festival, Gilles has decided to give up 20 minutes of his day to chat to Clash. He scarcely slows down, though, with words, expressions, reminiscences, and recommendations tumbling forth at an astonishing rate. We start at the beginning: Cheltenham Jazz Festival. Jazz is hot right now, and Gilles agreed to expand a long-time friendship with the event to pull together a bill of breaking and underground talent from right here in the UK. He’s definitely right there. A long-time advocate for the life-enhancing noises that composite modern jazz, Gilles has watched as a new generation blur the lines still further, with the likes of Moses Boyd, Jordan Rakei, Zara McFarlane and more set to pepper his section of Cheltenham Jazz Festival. The concert series comes at exactly the right time – Clash went to the Jazz FM Awards earlier this week, and caught a scene in electrifying transition. Kamasi Washington stood at the side of the stage, Pat Metheny was in the crowd, and young guns such as Nubya Garcia and Ezra Collective won key awards. As we said last year: UK jazz is killing right now. Gilles Peterson came of age in one of the last great eras for UK jazz, with his legendary sets at Dingwalls bringing together house, acid jazz, rare groove and so much more. It’s little wonder, then, that those sets are often brought up when discussing the new wave. One of the startling aspects of the new jazz community at work in London and beyond is just how varied, but also how natural it all feels. It’s completely legitimate for Theon Cross, for example, to play onstage with an MC like Kano and then head to Ronnie Scott’s to lead his vital trio. Labels such as Rhythm Section and 22a have taken jazz bops to the back rooms of basement clubs in Dalston, creating a peer-to-peer vibe that is exemplified by the promotional work of Total Refreshment Centre, for example, of the Church Of Sound nights. A DIY insurrection aimed against the growing hegemony of club culture, these new nights, labels, producers, DJs, and musicians are reflecting the continual shifts within London, expressing a community feeling in defiance of the developers. 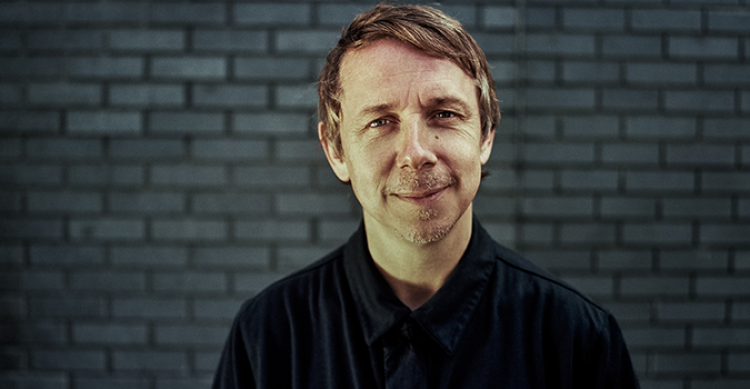 Gilles Peterson Presents hits Cheltenham Jazz Festival on May 5th.